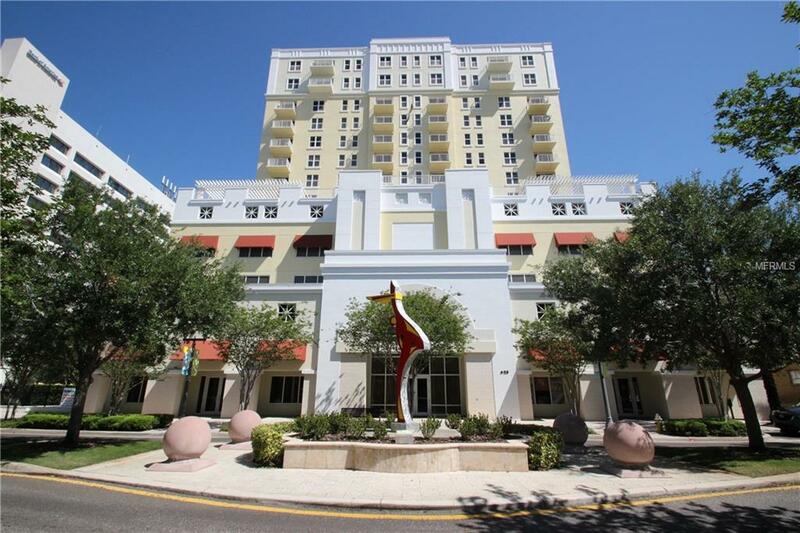 Downtown Clearwater, spacious 1 bedroom, 2 bath condo with den or use as second bedroom or office! Newer kitchen with granite, plenty of cabinet space, newer appliances & large dining area. Master has 2 closets, bath with dual sinks and walk in shower. Full 2nd bath with tub and a laundry room with washer & dryer. Open balcony patio with beautiful downtown and water views. Station Square boasts clubhouse, pool, grilling area and top of the line fitness facility. Great location close to plenty of shopping, restaurants, coffee shops, banks and more! Minutes to Clearwater Beach!! 1 car under building parking space, additional parking pass can be purchased. Water, Sewer and Trash is included with rent.